Hurry and print this hot Smithfield coupon for great savings on Smithfield Anytime Favorites product. 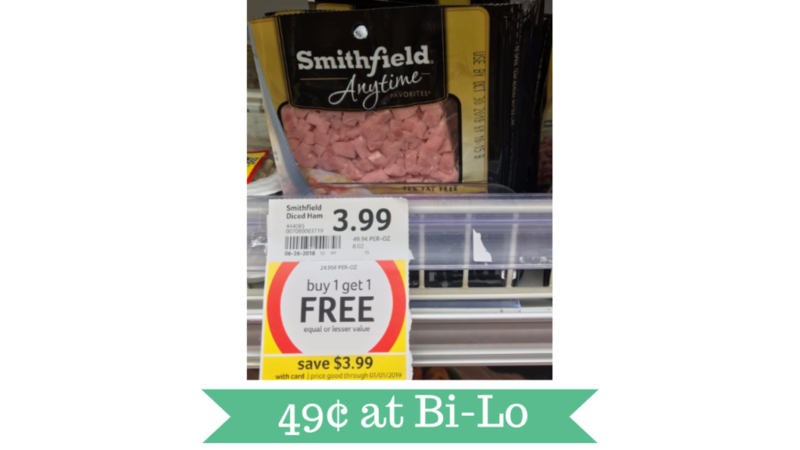 Use it during the Bi-Lo sale and pick up diced ham for just 49¢! They are also on sale at Publix all the time. Look for it to be BOGO at Publix in about a week. The coupon won’t last that long though, so please print it now if you want it! Find more deals at Bi-Lo this week!